Suitable for clamping head,head screwdriver, drill and other small tools. This miniature hand drill is an ideal tool for holding small jobs, holds drill bits and reamers etc. It can be used for delicate work with Jewelry work, when constructing models, working on instruments and repair of watch and clock components. 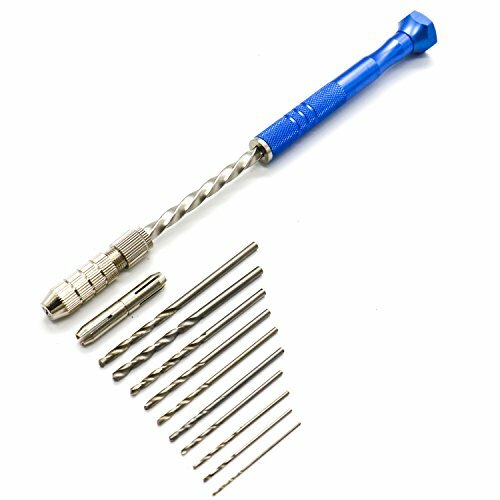 Manual drilling reaming drill, non-electric tools.Fits securely and comfortably in the palm of your hand. Convenient and quick, the appearance is more beautiful, long term use will not produce oxidation.